The first generation Corvair was a terrible handling car even before you misadjusted the tire air pressure or shoved a Chevy V8 into the front. After the 1st generation project we posted the other day, we got a few emails with better Corvairs from our readers, including this one from Paul M - who writes: 'yeah, not a v8 but this is much nicer than that scary thing you have on the site.' 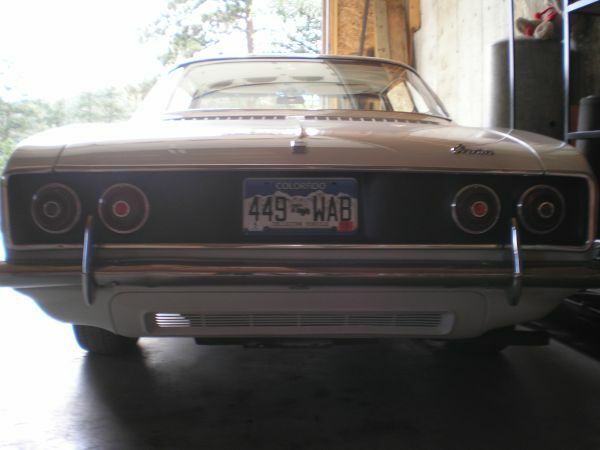 This 1966 Chevy Corvair is offered for sale in Denver, CO for $7,500 via craigslist. The only thing scary about this craigslist ad is the ominously dark garage in the photos, so run if the seller asks you to step into the back to sign the title or check out his collection of vintage stamps...anyway, the car itself looks to be in good shape and features some modifications including modern headlights. 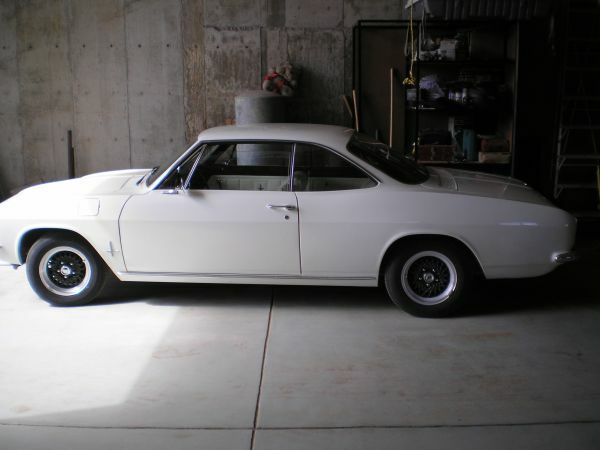 The ad doesn't include many details of the car, but a stock 1966 Corvair has a double-jointed independent rear suspension (instead of the earlier and allegedly dangerous swing-axle) and is powered by a 95 or 110 horsepower 2.7 liter flat six in naturally aspirated trim. There was also a hotter 150 horsepower engine as well as a 180 horsepower turbocharged version - but no indication as to which engine lives in the back of this hardtop. 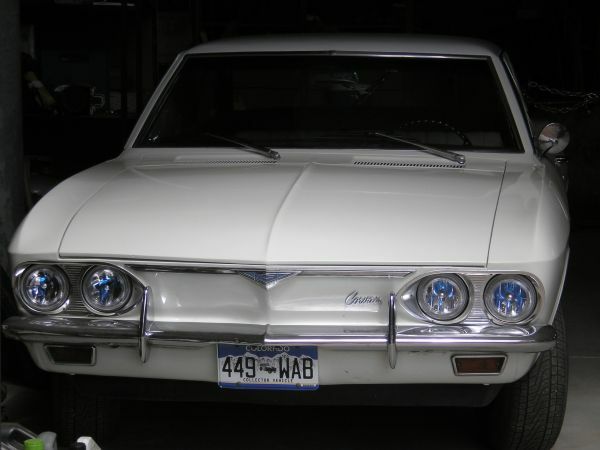 It is a real shame the Corvair was abandoned by GM as it was a good car in its final years and favored handling over muscle - the closest any American manufacturer came to making a 911 competitor back in the 60s. Driving a 2nd gen Corvair on a twisty road should be on any auto lovers bucket list and this one looks like a fair deal. This is likely the 110hp version... as the badge on the lid doesn't have wings or etc... I actually had one of these for a few years - took it to Puerto Rico with me while in the Air Farce where it did it's job in style. Even though it had a powerglide - it did fine on those nice Puerto Rican roads.. I totally enjoyed that car. Looks promising, but a few more photos and a lot more verbiage (by the seller) would certainly help determine whether this car is worth buying. Maybe the ad should have been titled "Cryptic Corvair"?